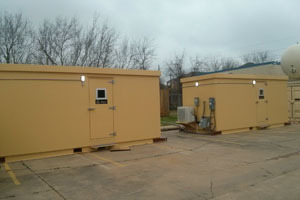 V ital Link has a long fabrication history making control cabs and specialized boxes to meet our customers’ needs. Super Quiet™ control cabs are also available for rugged use out in the field. 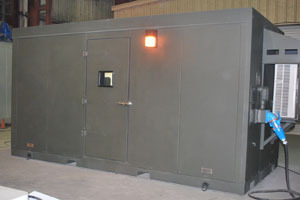 These super-quiet, acoustic cabs protect the user from the harshest environments. 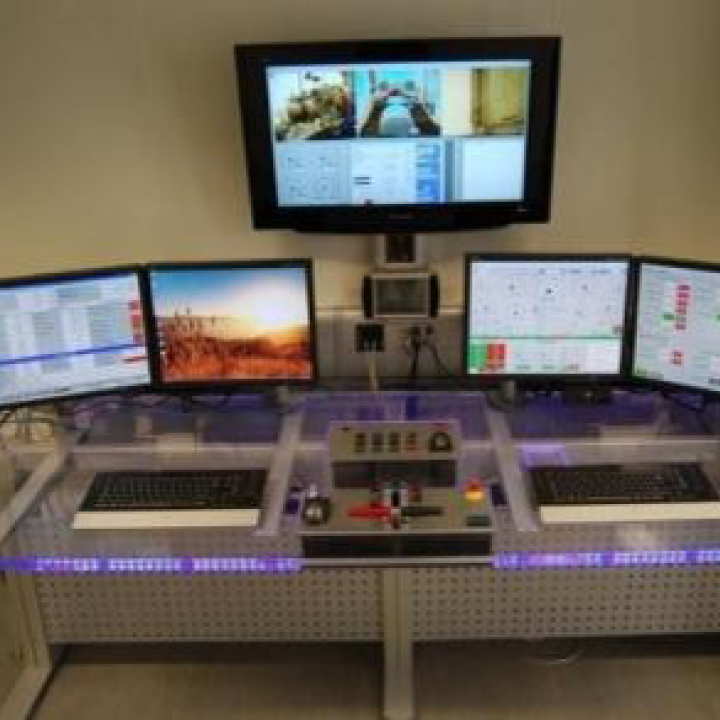 VLI’s PTC-13-4 portable control cab can host a control and data acquisition system. It is rugged, blast proof, and designed to minimize noise transmissions into the cab. 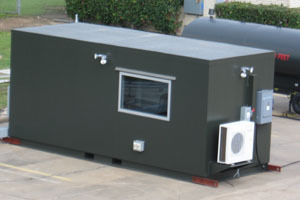 The cab has a NIC 60 rating and is easily transportable. A larger control cab is available as an option to maximize the comfort of operators. Super Quiet™ Control Cabs are easily moved with a fork lift and feature shock mounting. Optional running gear to provide standard towing capability for on-base/on-airport mobility is available. 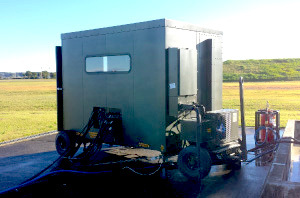 Atec and Celtech also design and manufacture control cabins and control room modules for portability, with VLI’s Super Quiet™ cabs being the USAF’s modern standard.